....to be taking my daughter to see Eighth Grade tomorrow. The previews look entertaining. I remember being incredibly awkward in middle school. Heck, I'm still awkward now. ....to need to finish up back to school shopping. There are still supplies I have to pick up. ....to have a giveaway for a Happy Cute Surprise Bag here. You can get 15 surprises in a bag! ....to get to make my Fast Pass selections for Disney World today! I hope I can get some Pandora and Toy Story Land rides. Fingers crossed. .....to think this Unicorn cereal is pretty. And tasty. I'm all about things with lots of color. It seems Such an artistic way of expressing running thoughts💖!Its okay because hey, its life! Loved it!! Okay, positive thoughts with positive attitude is the way to go. Life is too much stress and we need to stay above. Well these are seriously positive thoughts you have posted.And you have to do your best.And it is okay because hey it is the way of living. Ugh, I am right there with you about the back to school shopping. I am ALMOST there, though. Just one more backpack and I am done! We are not done with school shopping-well we are done for the college student who goes first. My other daughter doesn't need much other than clothing items and new shoes so that won't be too bad. Everyone seems to be finishing up school shopping. I knew school starts here next week. Enjoy the movie and we expect to hear how you both liked the movie. I love being able to participate in Heck It's OK because sometimes that is all I seem to keep telling my family. Shopping can wait, quality time with our kids is priority. I am having a hard time with my son being in the grade he's in. It is hard to believe that these kids grow up so fast. They need to slow this down. You are simply reaching out to better-feeling thoughts. It's a great way to lighten up the mind. You always find the coolest food items. I can't wait to see if my local store has the unicorn cereal. I still have to start back to school shopping. The kiddos don't start back school until the beginning of September. What a clever idea this is! I'm totally feeling your Fastpass+ list item, I'm actually not going to have ticket media until I get to the park next trip, so not 60 day Fastpass+ for me. 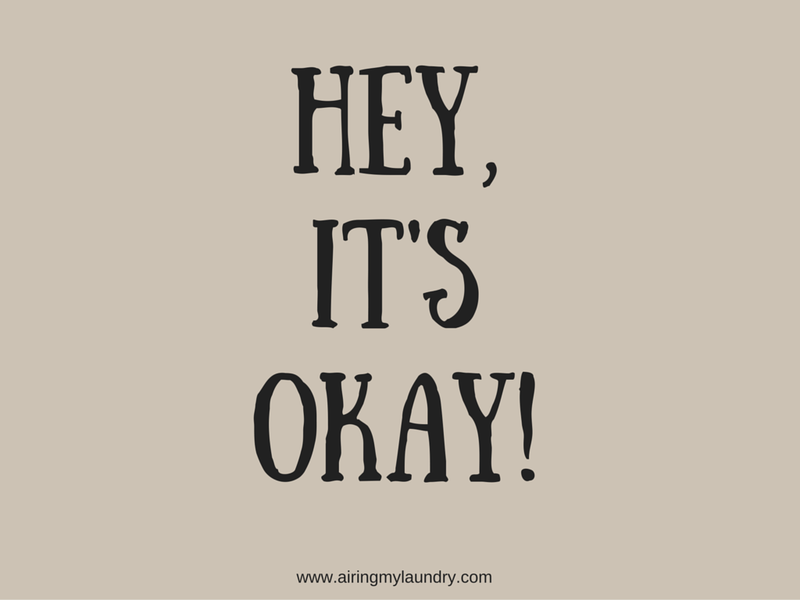 But hey - it's OK! I'll just go with the flow. It seems like you are ready to get back into the school routine. I have not tried that cereal so i have to get it when I get my school supplies. I totally think unicorn cereal is pretty. It's so colorful and bright and appetizing. I bet my kids would love it too!! I really love this series since we all have something we need to be more okay with. I have not even started back to school shopping despite my kids going back on Monday. Unicorn cereal? OMG..>I love it! 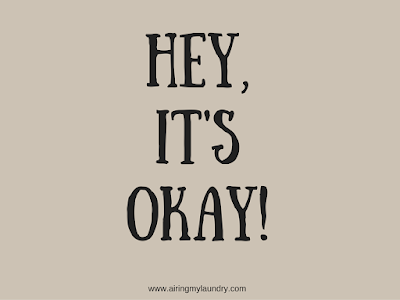 I really like "Hey, It's Okay" . We tend to beat ourselves up over what we are not getting done. We get the most important things done, that's what matters! Awesome that you're sharing this. Comparing yourself to others is so detrimental This helps people understand that it's OK to be themselves. My kids start school in 20 days I have not gotten a single school supply!! Unicorn cereal is way cool. My boys would be so excited to have that for breakfast. Such an exciting time! I hope Natalie enjoys her first day back! It's awesome to be able to get fast passes for those, wishing you luck! That cereal is pretty cool! My kids saw that unicorn cereal too! And my daughter also wants to see Eighth Grade - you'll have to tell us how it was. That unicorn cereal looks super yummy! I need to look for that the next time I am at the grocery store! I just saw that unicorn cereal at a cereal restaurant the other day. I thought it looked like something I would have loved as a kid. Oh wow! The unicorn cereal is like a dream. lol! I am so curious how it taste. My daughter is going to 8th grade this year so i want to see this movie with her. We shopped for supplies but still have a few to get. I am glad that I am done preparing everything for my kids school stuffs and that Unicorn cereal looks so cool and I am sure my daughter would love to have that for her breakfast. Speaking of back to school supplies, I have to do it this weekend. Good thing my daughter does not start until the 27th. Thanks for sharing! Love these posts! 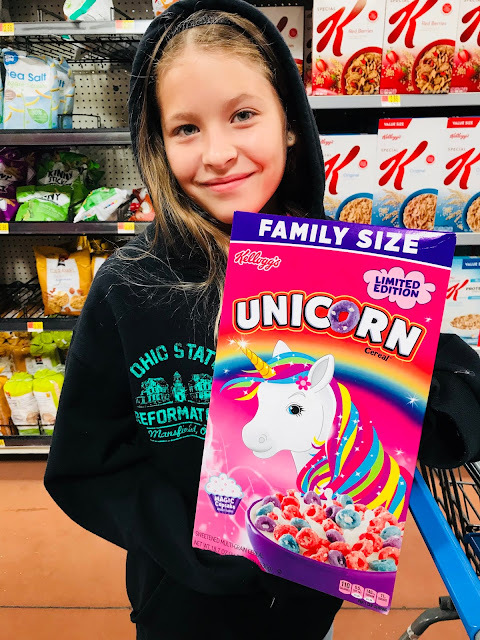 My youngest daughter spotted that same unicorn cereal and it ended up in our cart this week. this is such a clever idea! I would like to try those Unicorn cereals. Thanks for sharing this. Definitely a lot to do right before school starts!! What a cute way to make a list. I enjoyed this. OMG that unicorn serial is amazing! Would your kid will do a cereal review as well? I am done with all of my daughter's uniform shopping but I haven't purchased a single supply! Whoops! I need to get one that! I've never heard of Eighth Grade but now I want to know more! I have seen the Unicorn cereal and I was totally curious about it! I'm glad you posted this because I am way behind on back to school shopping this year. I think I still have some time and am not even going to stress over it.